The thematic approach for GIBCA 2013 starts with a desire to investigate and critically reflect on the notions of play and radical imagination as two important ingredients of the artistic and political discourse. 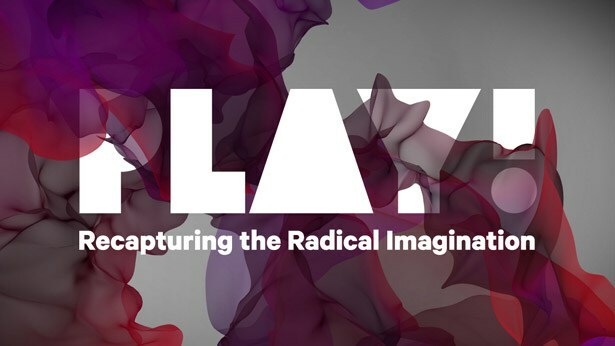 While playfulness seems to have permeated artistic strategies during the last century, radical imagination has provided a space for encounter and a frame for thought and action in today’s political struggles. Meanwhile related experiments with curatorial models and strategies that have characterized the last decades constitute an important effort to rethink the framework of cultural production. However, the role and understanding of either notion and of the seamless relation between them have undergone constant changes, reflecting the new conditions of our time and giving rise to a number of questions, such as: What is the transformative power of play? How do forms of playfulness affect or help manifestations of radical imagination? What does indeed constitute radical imagination? Reflecting on the above, Play! Recapturing the Radical Imagination is explored through the individual contributions of four curators: Katerina Gregos, Claire Tancons, Joanna Warsza and Ragnar Kjartansson in collaboration with Andjeas Ejiksson. The biennial does not lay claim to final and universal formulations regarding the nature of play or the ownership of imagination, neither does it have a “one-size-fits-all” answer to the above questions. By using the agency of play to deconstruct established systems of meaning, GIBCA rather aims to create an ecstatic space that remains open and expectant; a space of encounter, learning, and disruption. The different curatorial episodes and the works of invited artists reflect on manifold issues of affection, memory, radical sexuality, being on the edge, political satire, and possibilities for the future. Together they constitute a dynamic meeting point for creative playfulness and forms of activism, social experimentation and fictional narratives, philosophical deliberation and possibilities of reflection.